Professional Sign Supplies For Sale In Bulk! These Sign Supplies are Durable Banner Rails! Sign Supplies for Screen Printing and Vinyl Banners! 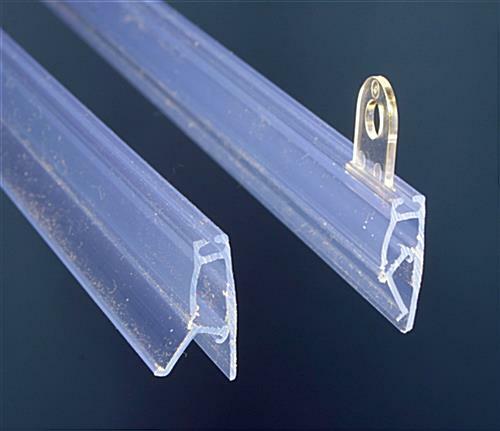 Top rail with two (2) movable eyelet clips. The clips are adjustable and slide to where they are needed. Bottom rail holds your poster or banner flat and taut. 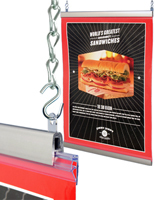 These sign supplies are not your average plastic banner hanger. 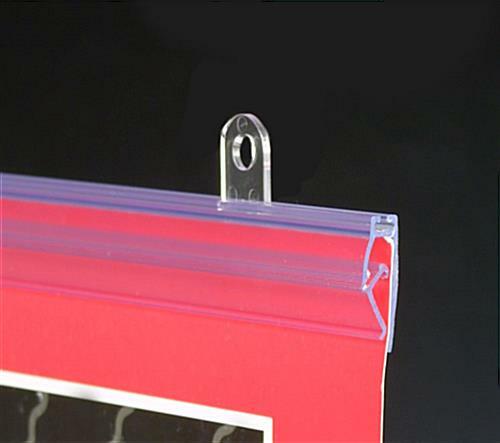 The durable rails are designed to tightly hold paper, screen printed fabric, and vinyl banners. 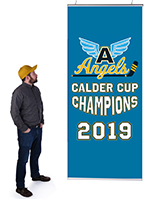 Many businesses are turning to these low-cost sign supplies to create distinctive advertising displays in their businesses. Use these sign supplies singly or create an array of banners that capture of the attention of everyone within eyeshot. Hanging banners from the ceiling not only attracts more attention to the message, but leaves wall space available for more permanent displays. Clothing stores, restaurants, department and grocery stores are just a few of the places you will find these durable sign supplies. These sign supplies may also be used with suction cups and attached to windows to create eye-catching window displays. Buy sign supplies on sale cheap here! 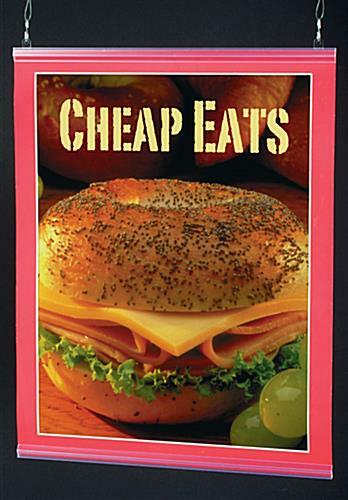 The prices are low, but the quality is high! 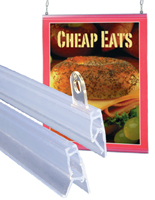 Chain or Nylon Line Hanging Kits sold separately.